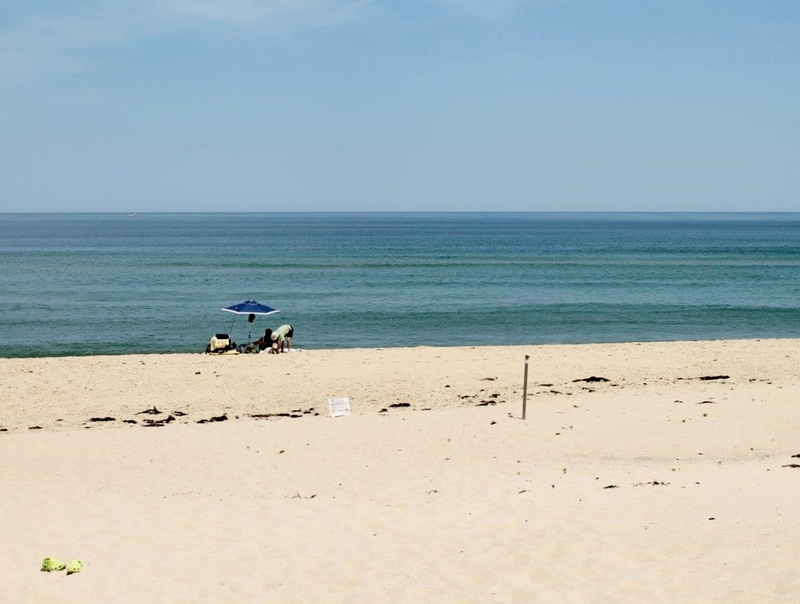 With miles of sandy beaches, a plethora of great restaurants, and endless possibilities of fun things to do, Cape Cod is a summer vacation paradise, which means things can get a little crowded here in July and August. 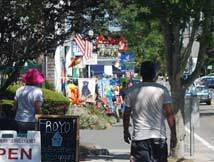 As someone who has lived on the Cape year-round for more than 30 years, I’m often asked how I handle the crowds. Unless you’re arriving by ferry, traffic on the Sagamore and Bourne bridges can be an unpleasant reality, especially on Friday evenings or when leaving on Sunday afternoons. Consider it a small price to pay for the fun you’re about to have. Generally speaking, the Bourne Bridge is not quite as busy at peak times. If you’re leaving by the Sagamore Bridge on a Sunday and traffic is backed up, get off at Exit 3 rather than Exit 2. It’s actually a more direct route to the bridges, and fewer people seem to know about it. 1. Stay off Schedule: My No. 1 way of dodging people is to avoid what everyone else is doing. Go to the beach at 8:30 a.m. instead of 10:30, or head there at about 2:00 p.m. There’s still plenty of tanning time, but the crowds have started to thin out, partly because the restaurant employees have headed to work. Speaking of restaurants, go the Seinfeld route and enjoy “lupper” instead of lunch or dinner. My husband and I typically dine out at around 4:00 – late lunch/early dinner – when waitlists are virtually nonexistent. This puts you at the nearest ice cream shop, if you’re so inclined, by 6:30 or so, which means you’ll be walking on the beach by 7:30 – sunset time! – just as families are starting to queue up for cones. 2. 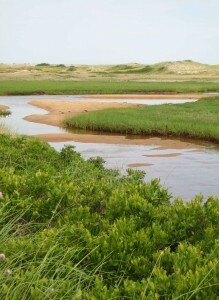 Get off the Beaten Path: Yes, there are places that are quiet on the Cape in the summer. You just have to find them. Your good friend Google can be a big help. I can be a small help. 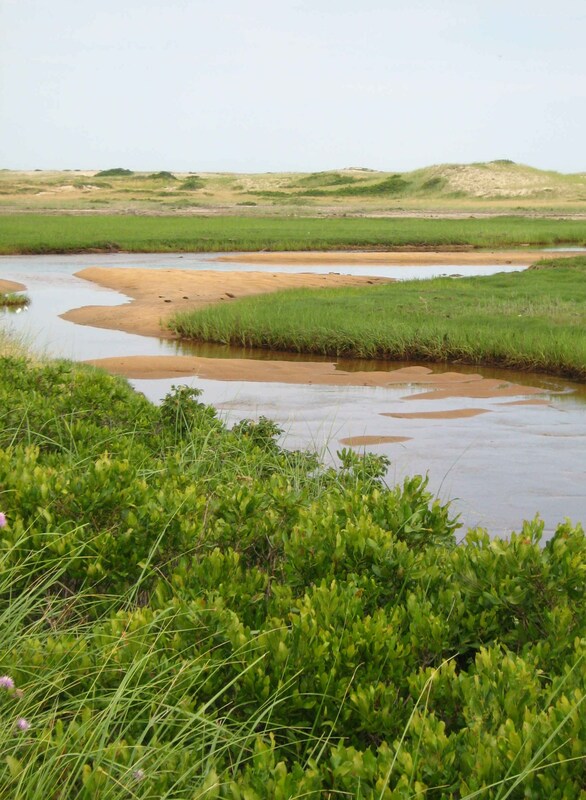 As an example: Cape Cod National Seashore mentions just a dozen trails online and in brochures, but there are hundreds of old fire roads, such as this one to Hatches Harbor, that are awesome and absolutely desolate. In the town of Harwich, the bike path might be wall-to-wall families, while the adjacent dirt trails are deadsville. 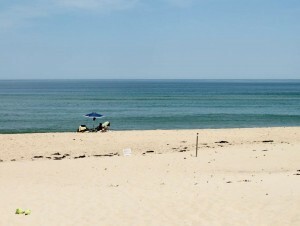 In Falmouth, you’ll find “serenity now” at The Knob (a second Seinfeld reference; forgive me, I’m old). Now get Googling and get off the beaten path. 3. 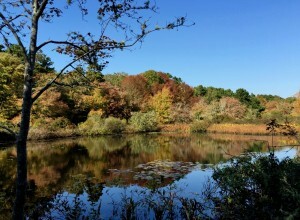 Beat the Rainy-Day Blues: I hate to be the bearer of bad news, but the only way to truly beat the rainy-day blues on Cape Cod in July and August is to just stay put. Hear me out on this one. When the power is out or there’s a blizzard, and you sit down for an hours-long Monopoly marathon with family and friends, don’t you end up loving it? If your Cape vacation includes a rainy day, consider giving yourself permission to just chill. Play Risk or Monopoly, binge-watch TV, read a book, eat junk food without guilt, have an extra cocktail. Just be. If the idea of “wasting” a day like this seems ridiculous, I get it. You’re spending money to visit Cape Cod, so if that’s how you feel, refer back to suggestion No. 1. The Seadar Inn and Harwich Port are centrally located. They are the perfect places to relax in authentic Cape Cod surroundings, create a memorable vacation and to take advantage of all the best that Cape Cod has to offer.